The Trio Celebrates the Release of a New Collaborative Single Called "I Feel It." The trio keeps the summer fever turned up to 100. September 7, 2018 | Fly by Midnight isn't your typical run-of-the-mill pop-rock duo. Their music is often reliably thrilling, as they marry the addicting buzz of the early-'00s punk spirit with dazzling centerpieces of today's Top 40 and alternative electro-pop. From the sweet glisten of "Swimming with Sharks" to their sterling cover of Avril Lavigne's classic hit "Complicated" to their fevered new, Cary Paige-featuring single "I Feel It," a breathless escape into the blue skies above, Justin Bryte and Slavo keep their fingers on the pulse of what works for universally-appealing pop tuneage. Bryte's voice intertwines with Paige's and creates a romantic ode to late-summer rendezvous, as the sun is just burying into the horizon. 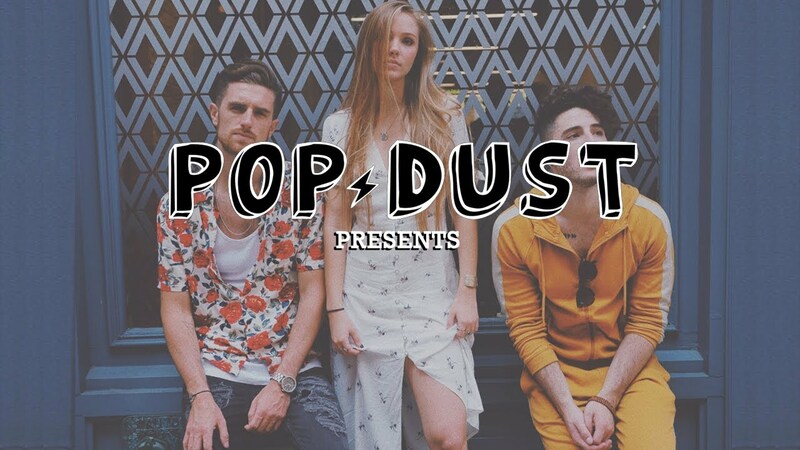 During a recent promo stop into the Popdust office, the trio of performers opens up with host and Editor-in-Chief Dan Victor about the new stage of their careers, songwriting, human connection over social media and what's next. Watch the interview above. A co-write spent in one day, "I Feel It" adheres to the voice Paige has so masterfully carved in her work so far. Her resume includes such credits as "If You're Hearing This" (Hook N Sling, Betty Who, and Parson James), Touch (3LAU) and "Space" (West Coast Massive). Earlier this year, the hard-working Los Angeles starlet began issuing her own music. As evidenced with such sparkling pop singles as "Babe," which smolders in ounce-sized doses, "Drive Slow" (a trickling steal-away) and "All on Me," featuring LöKii, a collaboration that defies conventions of gravity, Paige has an obvious command of pop spirit and a specific and unique perspective. She's a fierce dragon ready to set the world on fire! Fly By Midnight's story is one of opportunity. After his run on MTV's Dream Big, Bryte began setting the foundation of his career and was soon introduced to Slavo, a producer with The Emergence Group, to work on several one-off projects. Almost instantly, the duo realized their connection was far deeper than meets the eye. They went to task in a casual songwriting session, and their creative energy locked into place. And the rest his history. Over the past three years, Bryte and Salvo have several projects, including 2017's Cover Charge and New York Nostalgia (released earlier this year). 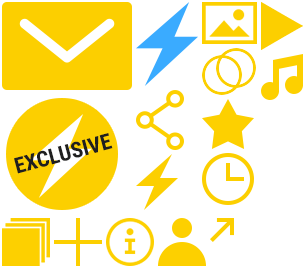 The building blocks in place, they've positioned themselves as the next big IT duo.